Woman Injured After Being Struck by Vehicle in Va.
A woman suffered life-threatening injuries after she was struck by a vehicle in Centreville, Virginia. The crash happened along Lee Highway near Centrewood Drive just after 6 a.m. Thursday. 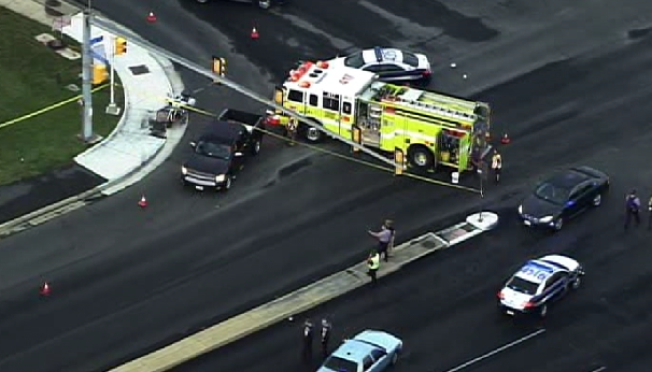 The victim was transported to the hospital with life-threatening injuries, Fairfax County police said.